“Warning! Don’t even think of touching my phone!” Says the new high security app! Do you own a costly phone? Are people around you always seeking to lay hands on your device? 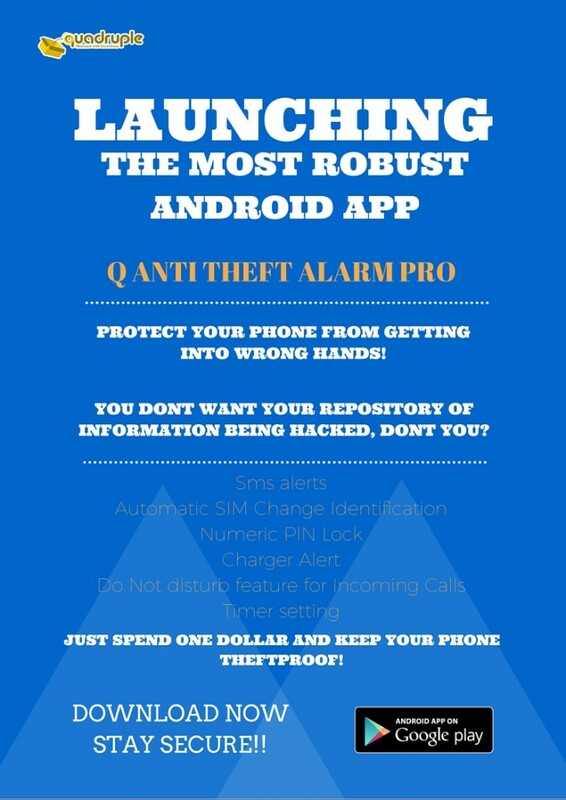 Well, you might take a deep breath and stay calm since there is a brand new app released in the market which serves to safeguard your phone from burglars and no do-gooders! 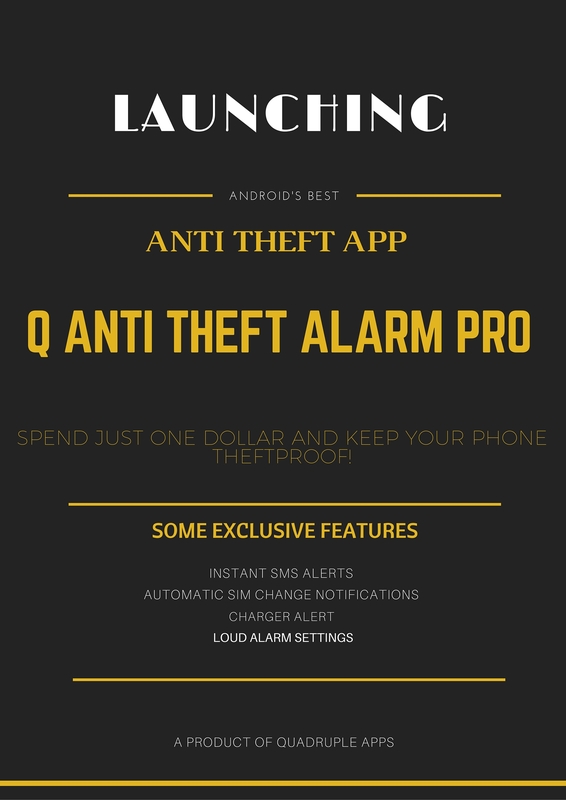 The newly released Q-Anti theft Alarm helps to scare away phone meddlers and burglars by setting a loud alarm which starts to ring as and when someone tries to move your phone from a surface. You just have to activate the alarm within the app and set a time gap after which you leave your phone without using. If the app detects a motion, the alarm starts to ring and there is no way to stop the alarm unless someone finds the deactivate option inside the app. The burglar will have no idea where the ringing is from, since the push notifications of the app are hidden as soon as any anonymous activity is detected by the app. Not enough? Well, the app sends SMS alerts to your emergency contact if the alarm is not deactivated within 15 seconds. 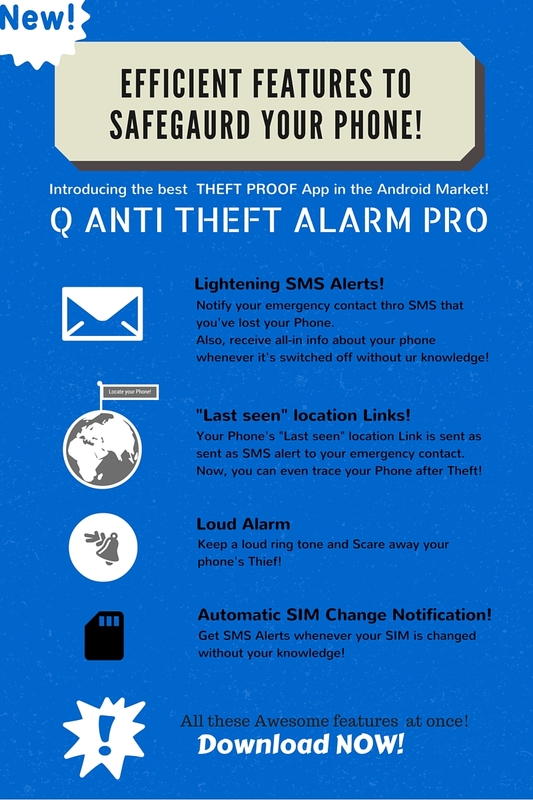 With these SMS you can get a fair picture of where your phone is. These SMS alerts shall contain information such as the mode at which the phone is lost (eg: charging, travel), IMEI no of your device, SIM no which is automatically detected by the app when it is installed & Google map link of your phone’s last found location if a GPS is available in the device.